Back in the 60’s, at the height of the Cold War between the U.S. and the former Soviet Union, the threat of a nuclear war was very real. But thankfully common sense and reason prevailed and humanity managed to avoid the nuclear apocalypse. But in Bethesda’s Fallout games, a fictional war did break out and those A-bombs went off, turning the world into a desolate wasteland, with only a few scattered groups of humans managing to survive. 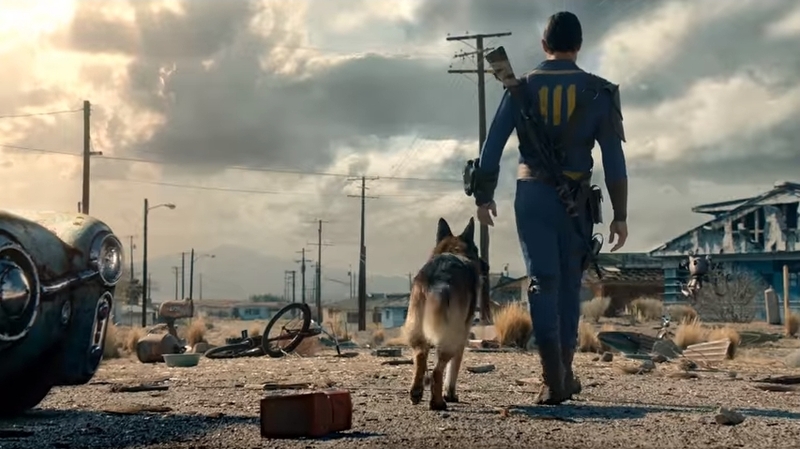 And Bethesda’s new trailer for their eagerly awaited Fallout 4 shows the games expansive wasteland, with the hero wandering about with his companion Dogmeat and taking on a group of mutants before donning the game’s trademark power armour. The trailer, which combines live action with computer graphics, certainly is an impressive-looking cinematic for Bethesda’s latest game, even if earlier trailers were criticized due the fact that the graphics looked a bit bland. But still, and unlike some recent high-profile games like Star Wars: Battlefront, Fallout 4 will be running at 1080p on all platforms, which is definitely a plus. And hopefully the game will feature the same hard moral choices as its superb predecessor Fallout 3, which at some point in the game had players deciding whether to nuke a city to oblivion or even engage in cannibalism. It is clear that the wasteland of the Fallout games is certainly a cutthroat and dangerous place, but thankfully players won’t have to be lone hikers in Fallout 4 as they can hang around with companions like Dogmeat (the German shepherd seen in the trailer) and other companions like the female survivor Piper, who players will be able to engage in a romance with during the game. All in all, Fallout 4 is certainly one of the top games to be released this fall, and if Bethesda manages to improve on earlier releases like the seminal Skyrim, then gamers surely are in for a treat come this November. Note: Fallout 4 will be released on November 10, 2015. The game will be available on PS4, Xbox One and PC.